Oysters…you love em, you hate em, or you just haven’t tried them. Just recently we have really gotten into oysters. It started back in April when we were actually in Netarts and got some oysters while we were there. 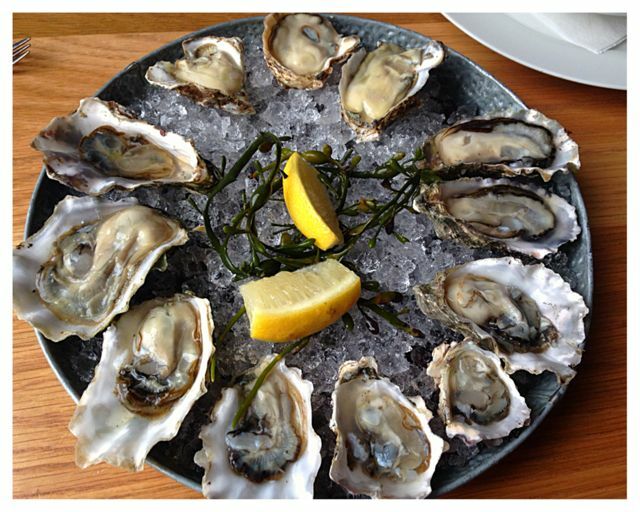 We loved them, and since then we began to notice that all oysters taste different. We even talked our daughter into trying some recently and now she’s hooked. The beautiful thing about The Parish is that they have a huge selection. Since this is their specialty, their staff is very knowledgeable and extremely helpful. We took advantage of that and we asked lots of questions. We always let them know what we like, then ask for suggestions. We even try things that are different, just so we can learn more about them and how they are all different, in both taste and texture. By doing this we always find something new. Today we discovered we also like the ones out of Hood Canal. 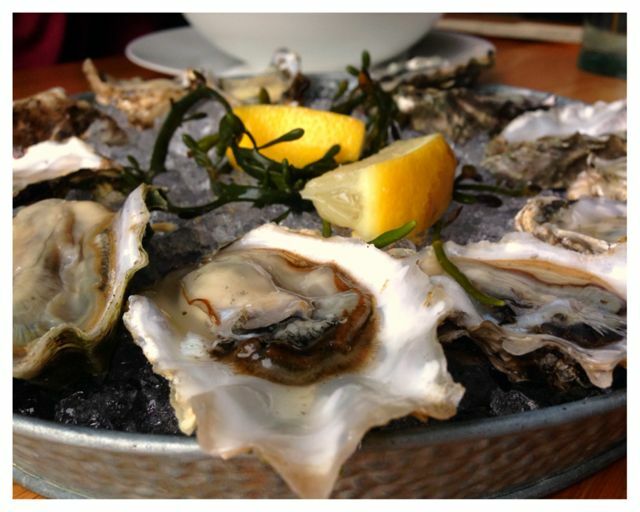 We have also learned that we tend to like oysters that are from bays as they tend to have less of a brine taste. I’m a bit of a nerd when it comes to food, because I really like to learn everything I can. It’s more than just the taste or experience, it’s about expanding my horizons. I also love that on The Parish’s Facebook page they spotlight certain oysters to help people like me start to learn more about them. 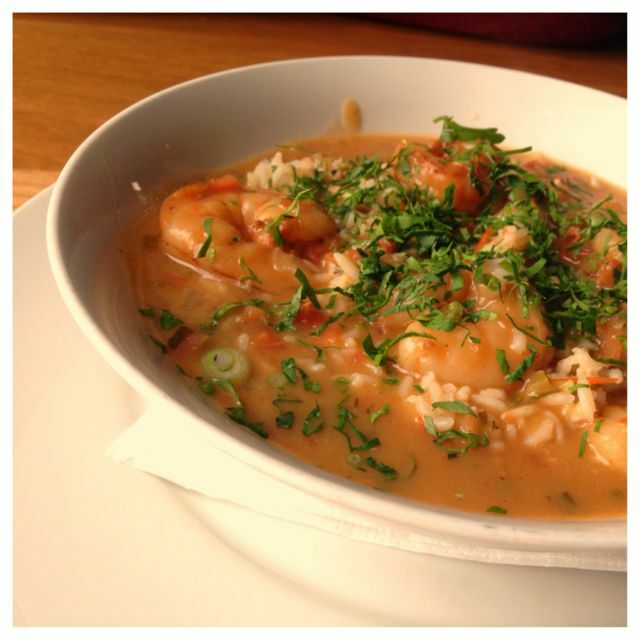 My husband loves Etouffee. Once he saw this on the menu, he jumped on it. I grabbed a spoon and took a few bites, but I let him enjoy this as it’s not one of my favorites. I will say the shrimp in this dish were huge and extremely tasty! My husband loved this dish and devoured it. I know why we have never stopped here before. We weren’t into oysters when this place first showed up. Now we are and now we know where to go for a great selection. Not only that, but we will go between 3-6pm for Happy Hour prices which is 3 for $4 for raw or baked oysters. I will slowly work my way into the menu, but for now, this will be my “go to” Oyster stop!! Atmosphere is very modern and open and well done. 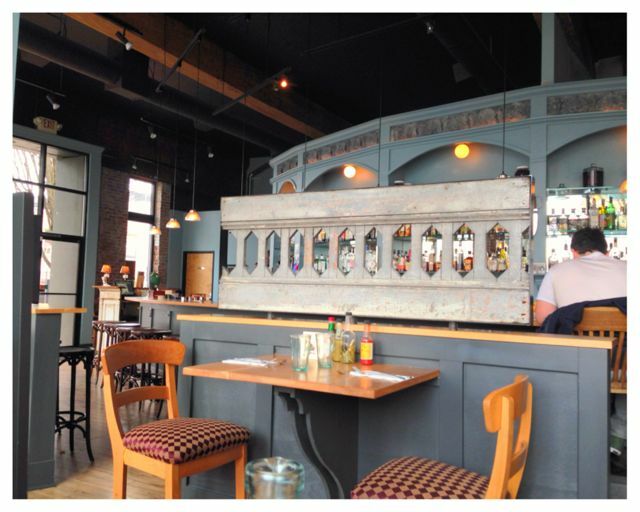 Between booths, the bar, small tables and private counters the dinning options are plenty. Pricing was $15 for half dozen and $28 for a whole dozen oysters, making Happy Hour very attractive. Entrees for lunch were around $12 for a very large portion. They have a good wine list and 3 beers on tap, plus a cocktail list. The Parish is located in the Pearl.